Where CUBA meets AFRICA ! 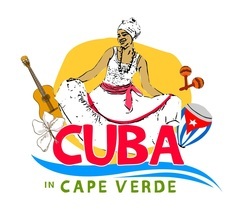 CUBA in Cape Verde is a Cuban & Cape Verdean Cultural, Dance and Music festival, which take place twice this year (2018) January 17th - 26th and February 14th to 28th. 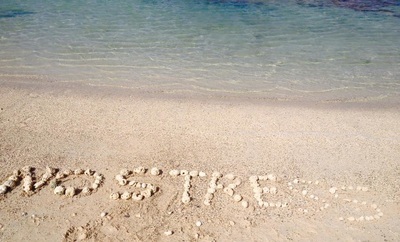 an UNFORGETTABLE 12 Days of Sea, Sun, Dance, Music, Cultural Celebration fun-packed up in an excited No Stress beautiful island of SAL, with rich history. *You can opt for 8 days package deal . £150* deposit required. JOIN US! LOOKING FOR SOMETHING *AUTHENTIC *DIFFERENT *EDUCATIONAL *EXHILARATING *UNIQUE & FUN. JOIN US! Organised by Damarys Farres of D'Cuban School of Arts. It’s also got the FUN FACTOR! 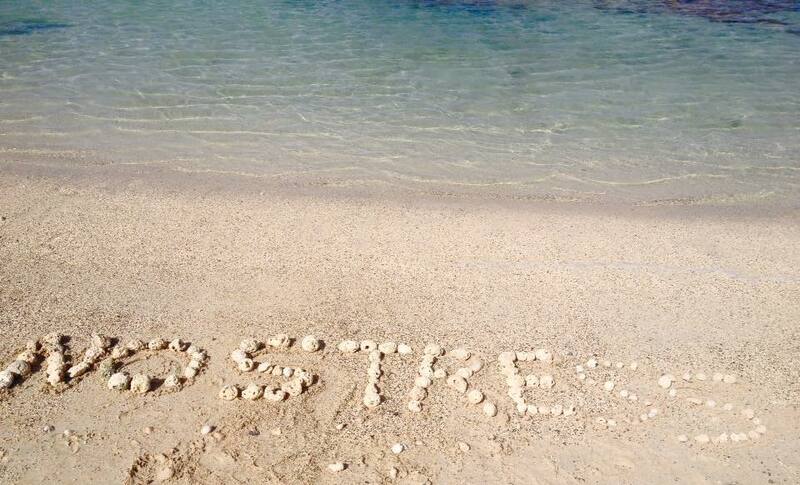 Visit Fashionable boutiques and market or just stroll along the famous miles of Praia beach. AUTHENTIC * DIFFERENT * EDUCATIONAL * EXHILARATING* UNIQUE & FUN. Simply the first and only most authentic, true to its name and exhilarating Cuban Festival in the island of SAL- Cape Verde! Surprisingly, Cuba and Cape Verde share many similarities; in fact, to a Cuban, Cape Verde feels like home! Cuba is known as the pearl of the Caribbean - white sandy beaches, beautiful blue waters, welcoming people, wonderful musicians, music played around any corner and delicious cuisine! And so it is with Cape Verde - Damarys Farres calls it 'the pearl of Africa'! As well as many social and cultural links, both islands actually share a common history - for example, the Cape Verde islands was the birthplace of an ancestor of Roel Caboverde Llacer, a famous Cuban artist. But it is also the many differences between the two islands which are also just as fascinating as the similarities! Travel to Cape Verde with the Cuban School of Arts and you can both enjoy the closest thing to the Cuba experience outside of Cuba - Cape Verde is also closer to the UK - and discover another culture enriched by music, dance, people and food! Cape Verde is an archipelago of 10 islands located off the west coast of Africa, deservedly famous for it's hot all-year-round tropical climate, warm dark blue seas, unspoiled beaches of soft white sand and the fact that it uniquely enjoys a mixture of Portuguese, African and Brazilian influences. Sal is the island chosen by the DCuban School to host the Cuba in Cape Verde festival. 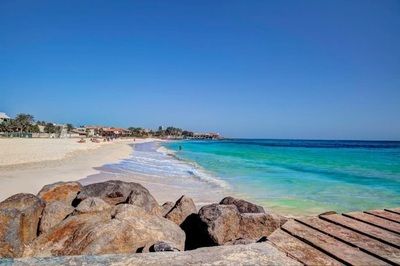 It is one of Cape Verde’s more popular islands and one of only two Cape Verde islands you can fly direct to from London. Sal's coastal resort of Santa Maria boasts miles of picture-perfect beach, where you can find locals teaching the tourists how to kite-surf and fishermen catching huge marlin and swordfish! The Cape Verde islands are in fact famous for both wave surfing and kite surfing - the islands are also host to the Cape Verde Wave Surfing Championships! Cuba in Cape Verde is all about relaxation (our NO STRESS policy) and enjoyment - you'll have plenty of time to relax and recharge your batteries, all in a laid-back, Caribbean-like atmosphere - with a variety of cultural diversions! You will gain a real insight into Cape Verdean life, with carefully selected B&B accommodation, delicious home cooked meals and a chance to practise your Creole! 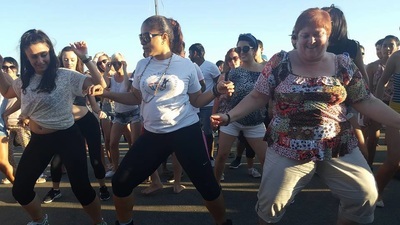 Unlike our other cultural holidays, this trip will focus primarily on the influence that Africa has had in both the cultures of CUBA & CAPE VERDE, including in the popular dances, such as Salsa, Zouk, Kizomba and Capoeria, as well as in ​Afro-Cuban and Cape Verdean music, which are key features of this trip. Sessions in the Spanish, Portuguese or Creole language (your choice). These sessions are suitable for absolute beginners up to advanced level and arranged in small groups according to level. Top professional Cuban and Cape Verdean dancers, teachers and musicians will provide you with individual tuition and plenty of attention to detail. At night you can join us on our accompanied nights out, to enjoy top local live bands and events. There are a large number of live music and dance venues which offer different forms of entertainment every night of the week, so each night you will be able to practise what you have learnt during the day! and essentially, our Cuba in Cape Verde experience will be a holiday you will never forget! PLUS! 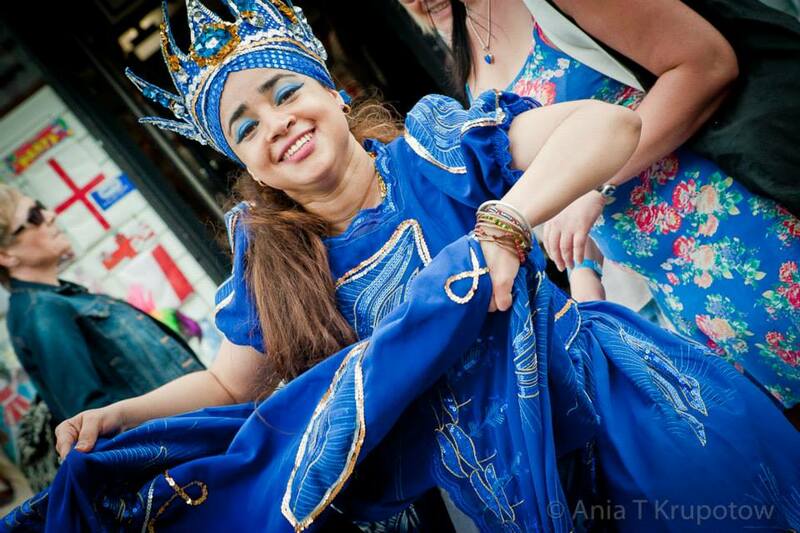 To coincide with the celebration of Oya and Yemaya Orishas while in Cape Verde, before leaving the UK you will also be able to take a special Performance course - available online if you are travelling from another country. This will be for a Special Oya and Yemaya Showcase, where we will show the local Cape Verdeans a little of what Afro-Cuban dance is all about! Don't worry, we will have some practice for this when we are in Cape Verde! Book NOW OJO - code to link on same page but different section ! These 50hours Workshops would include Afro-Cuban & Cape Verdean dance and percussion, with your professional dance teachers and musician, plus some lectures as well as cooking and preparing local drinks. 1 full day + 1 half day excursions including transport, drinks and snacks, plus bilingual Portugges/English speaking guide, entries, and tips for the driver/guide. Are flights included in the cost of the cultural experience ? The cultural festival/ holiday itinerary is a ground package and the cost does not include flights. You can either book your flights independently or we can help you book them through us. Transfers from and to Amilcar Cabral airport in Sal, Cape Verde are arranged by us. The currency is the Cape Verdean Escudo or CV Esc which can only be obtained in the islands. You can take Sterling or Euros to exchange. The fixed exchange rate is 110 CV Esc to €1. Euros are widely accepted throughout the islands but be careful as credit cards are not. Maestro or Switch cards are currently not accepted, only the Visa and MasterCard sign. Charges for changing travellers cheques can be quite high. Cash points are in major towns however we recommend that you do not rely solely on these. What type of accommodation is included in the trip? Sharing rooms in B&B accommodation or apartments are included in the cost (from £1,199) option. For those wanting to stay on their own, we can arrange single room accommodation or entire apartment as required. Single supplement will be added. Your room will have air conditioning/fan and an ensuite toilet facilities with a shower, fridge and TV. Where are the hotel, accommodation located? All of our accommodations are located at walking distance of the city centre, the beach, and most of the venue for dance lessons and nights out. Breakfast is included on our B&B option, not on the apartment, and some evening meals are included (check info about what is included) , for the entire holiday. Dinner varies each night and is normally a typical Cape Verdean dish which a vegetarian or meat/fish/seafood option. I have a dietary requirement, can this be catered for? Yes, we will need to know this info in advance for some of our dinners but you can also ask at the restaurants, which are happy to cater to your needs as much as possible. Sal, in Cape Verde is a vibrant city, full of life, yet has a very relaxed Caribbean atmosphere. It is the safeties city in Cape Verde and has a compact centre, making it very easy to get around on foot. Will I have a dance partner? This will vary in accordance to the class. Dance styling focuses on body movement and posture and aims to help non-Cuban dancers to achieve a more Cuban and fluid style of dancing. Ladies are taught in a group by a female teacher, and men by a male teacher. Percussion lessons are also taught in a group using different instruments which are intended to focus on the basic rhythyms you would hear in Cuban, Cape Verdean & some African music. This is fundamental as it is really useful to be able to recognise the rhythms that you will hear in the music plays at the parties and clubs. Survival Portuguese/Creole lessons are useful for beginners who have no or little prior knowledge of these languages. Basic phrases and useful vocabulary are usually what are covered. In just 2 x 90 minute sessions, there is a limit on what one can learn. Yes, depending if your choice has accommodation included the cost of the single room accommodation will be pass to you. Is a visa required to enter Cape Verde? We operate a ticket-free scheme. Your name will be registered on our list at the door. If you prefer to the a transfer please email us with your name and class /event name or fill up the booking form at the end of the choice you selected page. ​**There are limited spaces available on this cultural event. PRICES - £150* deposit required to secure your place. £1,199 **- (EB till 30 NOV - INCLUDING SEA-VIEW ACCOMMODATION ! £1,499*** - (INCLUDING DIRECT FLIGHTS FROM LONDON & ACCOMMODATION! *Payment and deposits are not refundable neither transferable. *Prices packages without accomodation & flight vary for locals, please ask if you have a question. **Accommodation, we can BOOK this for you. Price is sharing accommodation if you would like a single room, single supplement charge will be pass on to you. We will do our best to find someone to share with during your holidays. *** Flight prices go up quickly so BOOK your seat today. You need to get flights from link below or we can help you with this. We will however need your info to book your flight from you. Inspirational, Exhilarating, Fun, Life Changing and Uplifting! One of the best artist line-ups from the world of Cuban Salsa, Rumba & Afro-Cuban dance styles as well as Cape Verdean. It’s fun, friendly and a great way to keep fit and there’s no better way of catching up with some of your friends that you have met along the way on your dance journey or make some new ones. Good sound system and live percussion for parties, matinees and workshops in a spacious and airy dance floor. Life Changing - Join Us! CUBA in Cape Verde festival , enlighten my life !